Even at their most indie, Zooey Deschanel and M. Ward always approached their music with a retro mindset. 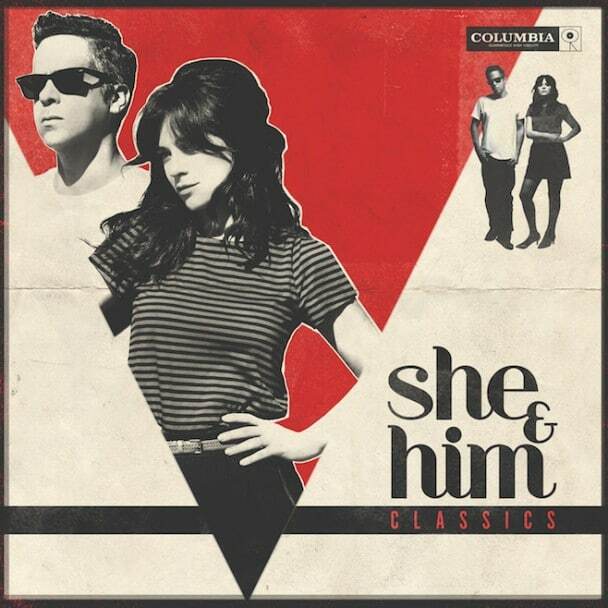 So, it’s little surprise that the duo known as She & Him finally decided to delve into the classic pop American songbook that always seemed to be bubbling under their slight yet enticing originals. To that end, they hired a full backup band that often includes horns, drums and the occasional backing vocalist and played everything live in the studio. That provides an organic, low key warmth to the performances that range from bland to luscious but are always charming. For their fifth album and second of all covers (the first was a Christmas themed release), the twosome reach back to the 30s for the sweet, melancholy “We’ll Meet Again” originally recorded by Vera Lynn and Ella Fitzgerald’s reading of “Would You Like to Take a Walk?,” a sultry duet with one of the few M. Ward vocals. The newest selections are tasty takes on the Goffin/King 1964 nugget “Oh No Not My Baby,” and Charles Aznavour’s “She” (also recorded by Elvis Costello) from 1974, the album’s lone M. Ward solo vocal, but much of the material dates from the 50s and 40s. It’s all as wispy, some may say flimsy, as Deschanel’s airy singing and her style that’s a little too emotionless and delicate for some of this heavily romantic music. That’s especially true when she attempts to breathe life into the umpteenth version of “Unchained Melody” with backing from Ward’s skeletal guitar and vocals from the Chapin Singers, and ends up with a version that’s less dreamy than snoozy. Still, there is no debating the sheer quality of the songs or Deschanel and Ward’s best intentions to dust them off for a younger generation who likely haven’t heard most of these selections. They obviously invested their hearts in the project with arrangements that let these gems breathe and smartly don’t fuss with the melodies that made them so memorable and timeless. Ultimately despite, or perhaps because of, its minor ambitions, Classics succeeds on its own terms.